For the money you really can’t do better than a free online drum machine. Some of these offer interfaces and sound that are more than comparable to their pay for competitors. Just a few minutes with any of these drum machines and you’ll be sold. The Java-based Monkey Machine free online drum machine is packed full of options for the budding or veteran musician. There are over 20 high quality drum kits from which to choose. Either Natural Studio or Hydrogen programmed each kit. The Monkey Machine has access to a drumbeat database with more than 10,000 downloadable beats to start you off and provide inspiration or simply fill in the parts you need. One of the best features of this free drum machine is that you can export the beats you create as MIDI files so they can be incorporated into any of your other audio mixing studio software. This five-star application could have easily gone to the retail market, but the makers were true philanthropists and gave it to us free. What the OrDrumbox lacks in visual presentation it more than makes up for in its techno drum section. This free online drum machine was clearly made with techno artists in mind. The online mode is not the only free option, though. The downloadable version is also free. The sound of the drums is a bit weak in some places and the total lack of certain components is evident if you were looking to use this in a more traditional musical genre. Still, it is a great Java-based drum machine for techno or industrial musicians. The OneMotion drum machine by Tomas Eriksson is a Flash-based drum kit that allows up to five drum components to be played simultaneously. There are 17 basic components to choose from and you can use the same one more than once, meaning you could have multiple cowbells if you wanted to and everyone knows you can never have too much cowbell. Three demo tracks showcase the range of this online machine and then the option to create your own. While this is a fun program to play with, it does not really fit the needs of a serious musician as there is no way to export your beat unless you have a capture program on your computer. In addition, there is only a short four-bar interface making it impractical for use on full songs. Drumbot is the ultimate online drum machine for non-drummers. Each of the features is intuitive and real drummers composed all of the tracks. The intro loop of each song is played and double-clicking a particular beat will bring up the entire song. All of the songs are free. The drag and drop timeline works like virtually every music composition program out there, and you can export the drumbeats in .WAV format for immediate integration into your Fruity Loops, Garage Band, Logic, Protools, Ableton Live or other mixing program. That is right: you can use other professional drummers’ uploaded materials, create your own or mix and match. Everything on the Drumbot site is free to use. The professional level of this program makes it hard to believe it is free, and the sheer quality of the tracks is undoubtedly higher than any other free program available. I would even go so far as to say the beats are better than some of the pay sites I have used. Drumbot gets six stars on a five star system. 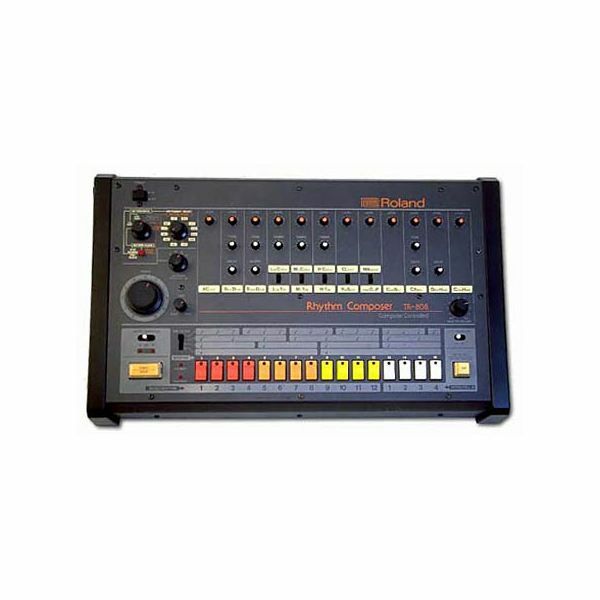 The Roland TR-808 Emulator is not exactly an “online” drum machine, but it is a free emulator that can be downloaded and used just like the actual drum machine. The drumbeats are of the same quality if not better than those that are produced by the machine and the ticks and minor errors that the physical machine made have been eliminated. The free online drum machine download can be plugged in to most, if not all, mixing programs.